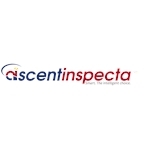 Ascent INSPECTA is the ultimate ISO Certification Consulting organization with clients spanning across 20 countries including India, USA, Sri Lanka, Oman, UAE, Saudi Arabia, Greece, Maldives, Europe, Africa, Middle East, Qatar, Kuwait, Hong Kong, Singapore and gulf countries. Companies around the world have depended on Ascent INSPECTA to help ensure the Quality and safety of their products, processes and systems. Over 10 years of experience in Implementation of Standards and Controls, ISO Consultants are professional and proven.